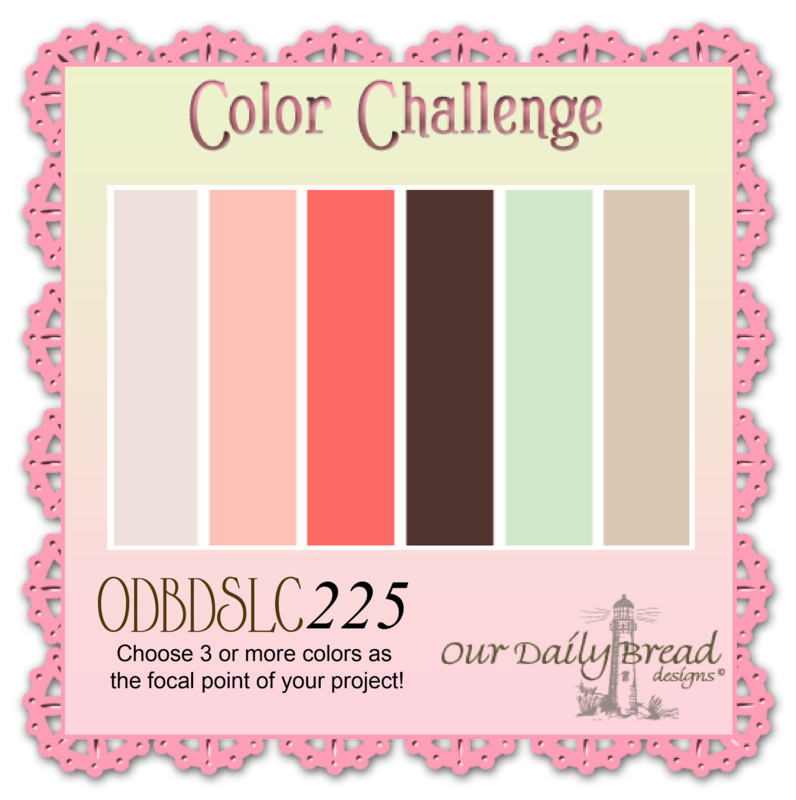 The month our first challenge at Our Daily Bread Designs is a color challenge! The color palette is stunning and I was very inspired when I created my card. 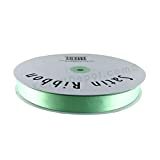 I used a homemade stencil to apply pigment ink mixing green and white to get a very soft hue and before the ink dried I heat embossed it with pearlescent powder. Using a brush I splattered a bit of watered down shimmery Iridescent Tangel paint on the white layer I die cut with the largest frame from Flourished Star Pattern set. I used a different technique to create my flowers this time. I shared a tutorial before using the Aster dies but this time they look different, meaning fuller and with lots of texture. I colored the ends of the petals with the same paint with which I splattered the white layer. I put a clean bouquet together on the top left side of the card using flourishes, leaves, ribbon, pearls, rhinestones and a vellum tag on which I stamped a beautiful sentiment, which I heat embossed in copper brown. I mounted the embellished layer on a green mat and mounted it all on a white card base. This card is so shimmery and the colors look much prettier in real life. As I mentioned before, I enjoyed making this card a lot and I hope I have inspired you today to join us and share your creation with us at ODBD. To see all the projects created for ODBDSLC225 or to join the challenge click here. You have until February 8, 2015 at 8:00pm EDT to join us. By participating in the challenge, you have a chance to win a $15 ODBD Gift Certificate good towards the purchase of stamps in the “stamps column” on the ODBD website, or to be spotlighted on the ODBD Blog at our next challenge. The random prize winner will be posted on our next challenge post. My DT sisters have created gorgeous cards and I would love that you could visit them and leave a comment. I know you’ll be inspired by their creations! Thanks so much for your visit! Until next time! Gorgeous as always, Grace! I love the way you used the colors! Oh, Gracie, this is gorgeous and so your amazing, feminine style! I love it! Hugs! This is stunning Gracie. Elegant flowers and love To God Be The Glory done in gold. This is so beautiful Gracie!! 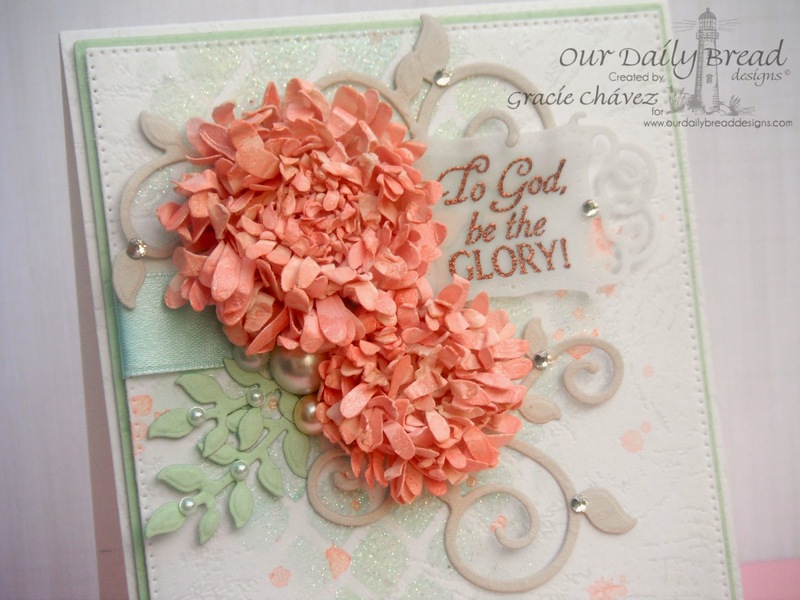 I just love the soft background you created with the stencil and the dimension with those gorgeous flower!! So feminine!! Stunning work!! This is so beautiful!! I LOVE your flowers! You make such amazing and elegant pieces! It's all been said, Absolutely gorgeous, stunning, beautiful and I love the soft colors. OMGosh Gracie, I just LOVE the way you did your flowers! Wow!!!! They are so perfectly done and love the stenciling you did for your bg! This is such a lovely card! Your beautiful ribbon that goes around just one side and the pearls and rhinestones…all are so radiantly exquisite! Beautiful! WOW! How do you keep making more beautiful cards each time? Hove it! This is so beautiful Gracie!! The soft colors with the stencil along with the bling and pearls are so yummy, pretty and feminine!!!! Such a gorgeous card Gracie. Love all the techniques and those flowers are awesome! Robin is right – your card is just radiant! LOVE the way the ribbon is just off to the side and your blooms are gorgeous! You are queen of making gorgeous flowers and background! Beautiful cards! I love those hydrangeas – -they just explode right off the page! Stunning card!